Simcenter (a.k.a. NX CAE) directly addresses the challenges you face with simulation today through a modern and completely integrated environment that delivers significant benefits. NX CAE does not require NX CAD and can be used as a standalone pre/ postprocessor with support for multi-CAD geometry. 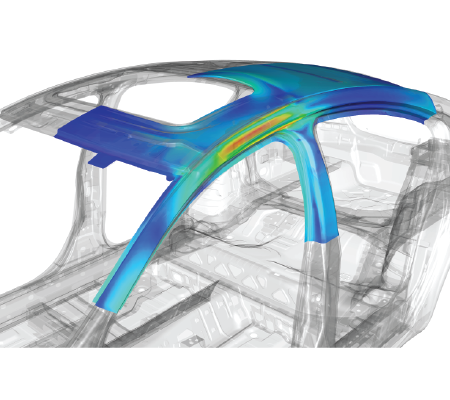 NX CAE reduces the time you spend preparing analysis models – up to 70 percent! It delivers all the advanced meshing, boundary conditions and solver interfaces you need. No matter the analysis, you will always be within the same user interface, have the same base analysis and geometry modeling capabilities, and use the same file structure and management scheme. 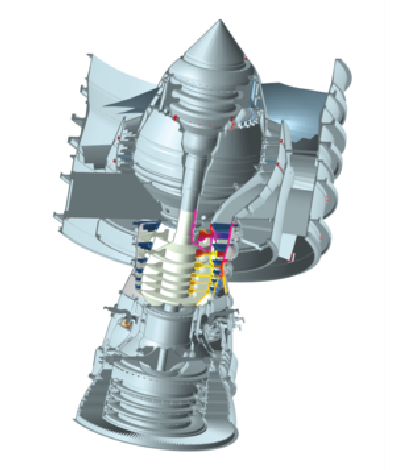 Efficiently build and manage complex analysis models and assemblies, perform advanced simulation and co-simulation with control systems, solve large models quickly, and correlate results with physical tests. NX CAE builds on a heritage which spans over 40 years and encompasses well known CAE brands like Nastran, SDRC I-deas®. NX CAE directly addresses the challenges you face with simulation today through a modern and completely integrated environment that delivers significant benefits. NX CAE does not require NX CAD and can be used as a standalone pre/postprocessor with support for multi-CAD geometry. NX CAE delivers additional benefits when used in situations where NX is used for design, such as seamless data transfer between the design team and analysis team. NX CAE delivers increased productivity speeds to your entire product development cycle so you can bring your products to market faster. More efficient simulation processes also lead to more innovation by allowing more design-analysis iterations that can be used to test more design alternatives and make critical design decisions earlier. Your product quality is increased by more easily simulating real-world conditions. You get a truer understanding of how your product will perform. NX CAE also facilitates easier trade-off analysis across multiple disciplines so you develop more robust products. Requirements tracking and reporting capabilities allow you to quickly gauge if your product is performing to specification. You get lower overall product development costs. Faster simulation processes means analysis results are fed back to design earlier, leading to reduction in costly, late design change orders. Additionally, correlating simulation with physical testing provides more confidence in your analysis result so you reduce costly physical prototypes.